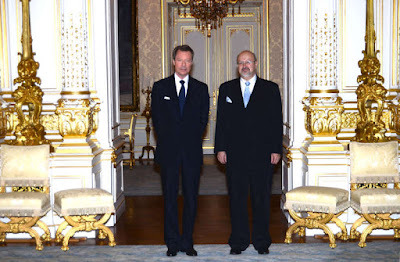 This morning, Grand Duke Henri received Lamberto Zannier for an audience at the palais. Mr Zannier is the Secretary General of the Organization for Security and Co-operation in Europe, often bettern known as OSCE, the world's largest regional security organization which was founded in the 1970's. The Secretary General was on a working visit to the Grand Duchy.